This movie left me utterly cold, which is a pity because Nicole Kidman throws herself heart and soul into her role as a haunted, alcoholic LAPD detective, Erin Bell, on the trail of a badass who helped to ruin her life. It is, of course, a shock to see Kidman transformed in such a manner, and all credit to the makeup artists who made it happen, and the actress for convincing us that she is profoundly on the skids. But that, in itself, does not a great movie make. We first see Kidman as a pair of blackened eyes, gazing painfully up at the bright light pouring through her car window. Then we follow her shambling painfully towards a murder scene looking for all the world as if she is suffering from the severest of hangovers. As she inspects the scene, she informs the sceptical police that she knows the identity of his killer. This prompts the film to divide itself up into time present and time past, with the latter taking place 17 years before when she worked as an undercover cop infiltrating a gang under the leadership of a particularly nasty boss named Silus (Toby Kebbell). The flashbacks are supposed to give us more information about why she wants to arrest Silus and why she in psychological trouble, while the present action focuses on her dysfunctional relationship with her bratty 16-year-old daughter and her frequently sordid attempts to track Silus down. The problem is that director Karyn Kusama simply hasn’t managed to present the mechanics of the plot as well as the basics of characterisation at all convincingly and one frequently asks oneself why this is happening or why, on occasion, it is so difficult to suspend one’s disbelief. The biggest problem, however, is our complete lack of empathy with any of the characters. 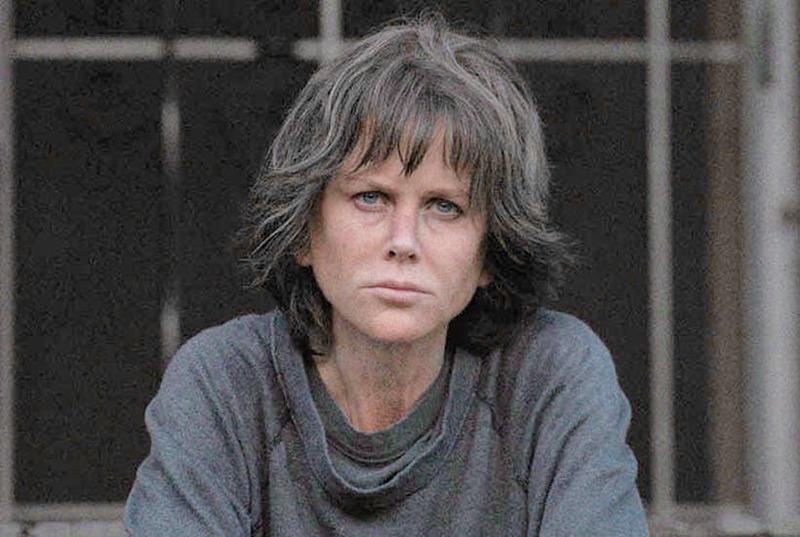 Despite Kidman’s immersion in her largely unlikeable character, it’s hard to feel much sympathy for her, and the fault, I believe, lies in the work of the director and Phil Hay and Matt Manfredi’s script. The only box I can tick with any conviction, apart from Kidman’s committed performance, is Theodore Shapiro’s moody soundtrack. For the rest, this is a grim, pitiless and utterly bleak film that is a lot less profound than it thinks it is. The dispiriting result is that the audience is dragged relentlessly through the psychic sludge without much reward.